Hello everyone! A little quickie here, and first of all, congratulations on Got7 1st win with their latest song, If You Do! To celebrate the win, we have Got7 layout for you to use on your blog. It is a clean style, with large font for easy reading and there is also a navigation bar on top, despite having a single column. 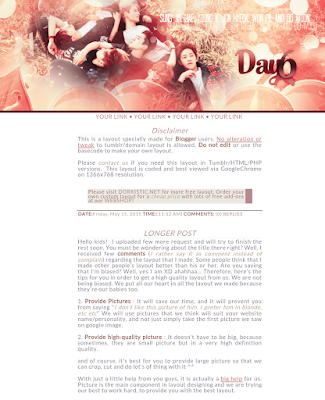 The second layout is featuring Day6. I was impressed when I listened to their song for the first time, and I am sure many people are slowly falling for them. A fresh new band who plays the instruments well. 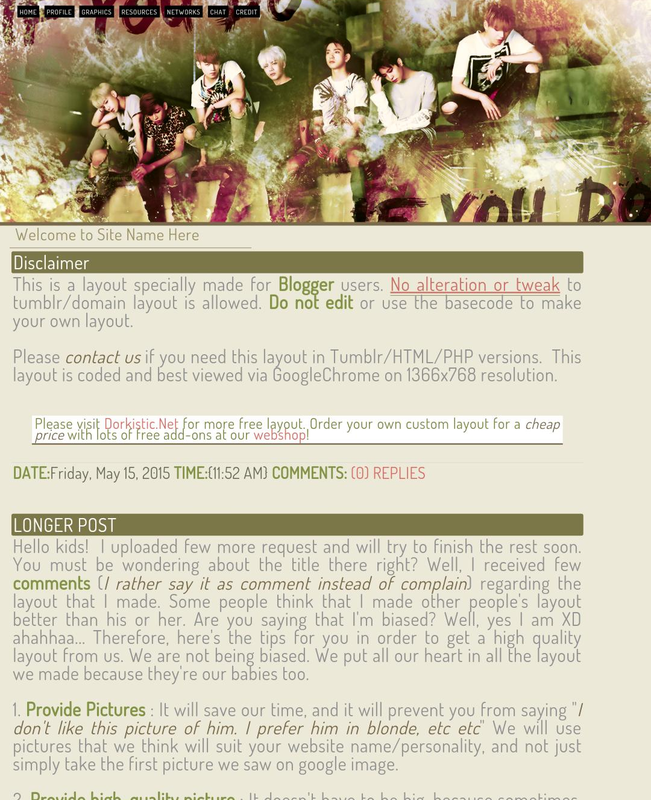 Without further ado, check out the layouts below. Click the image for full preview, and click the link given to download. Please follow the terms and conditions too! Aw I am so sorry to hear that! I hope everything gets better, and I hope you too have better days ahead.